Janice Faye Hopson, 63 years old, went to trial in an Illinois bankruptcy court last spring, hoping to discharge more than $100,000 in student loans. The Illinois Student Assistance Commission and the U.S. Department of Education opposed her plea for relief; and Judge Jacqueline Cox, the bankruptcy judge who heard Hopson's case, ruled against her. At the time of Judge Cox's ruling, Hopson was in a 25-year income-based repayment plan (IBRP) that required her to make monthly payments of zero due to her low income. Indeed, Judge Cox ruled that Hopson could maintain "a substantial standard of living" while making student-loan payments of zero dollars a month (588 B.R. 518). Hopson argued that she would never pay back $100,000 in student loans under a 25-year IBRP and that the principal on the loan will continue to grow in the coming years due to accruing interest. When the 25-year plan ends, Hopson will likely be in her 80s. Moreover, although DOE will write off the amount of her unpaid debt when the 25-year repayment plan is completed, that amount will be taxable to her as income. Judge Cox was unsympathetic. 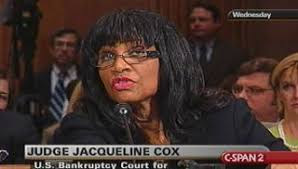 If Hopson is insolvent when her 25-year plan ends, Judge Cox pointed out, she can file for bankruptcy a third time and discharge her tax bill on the grounds that she is broke (588 B.R. at 515). Will Ms. Hopson be insolvent when her IBRP ends two decades from now? Of course she will. At age 63, she has virtually no retirement savings (as Judge Cox acknowledged). Twenty years from now, she undoubtedly will be living entirely off her Social Security checks, estimated to be only $1430 a month. Although Judge Cox probably did not realize it, she essentially ruled that no student debtor who is eligible for a long-term income-based repayment plan is entitled to bankruptcy relief. Of course it is true in one sense that a person allowed to make student-loan payments of zero dollars a month cannot claim her student loans constitute an "undue hardship" in the present moment. But people making token monthly payments or even monthly payments of zero are burdened by student-loan debt that grows with each passing month due to accruing interest and which will never be repaid. They are also burdened by the specter of a huge tax bill when DOE eventually writes off their loans two decades or more into the future. Like Ms. Hopson, many people will be long past retirement age when their IBRP payment obligations come to an end. And like Ms. Hopson most people in IBRPs won't have sufficient retirement savings to live their last years in comfort and dignity. A few notes in closing. First, Judge Cox ruled that Ms. Hopson could maintain a "substantial standard of living" while making student-loan payments of zero dollars a month. Apparently, the judge concluded Hopson was living above a minimal lifestyle because she rented a two-bedroom apartment. Judge Cox pointed out Hopson could save $225 a month if she moved into a one-bedroom apartment. Second, Adam Merrill, a Chicago lawyer, represented Ms. Hopson pro bono. I want to especially commend him for taking on Ms. Hopson's case without a fee. Finally, Judge Cox did not state in her opinion when Ms. Hopson's 25-year repayment plan will end. Perhaps the date was not important to the judge. In this essay I presumed that Hopson signed up for a 25-year repayment plan fairly recently and that it won't conclude until she is in her 80s. Hopson v. Illinois Student Assistance Commission, 588 B.R. 509 (Bankr. N.D. Ill. 2018). helpful. This is really wonderful post. I would definitely recommend it to others. If you want to get help for scanned documents editing, these designers can help you with any document. Contact them for further details. If you need quick & discreet professional help to edit your scanned documents you should contact them. Do you need help with your bank statement pdf? These guys saved me from a lot of trouble. Thankfully they are quick, discreet & amp; very reasonable. These designers have updated templates for all the major banks of all the countries. If you need any help with your bank statement, you can contact them for details.